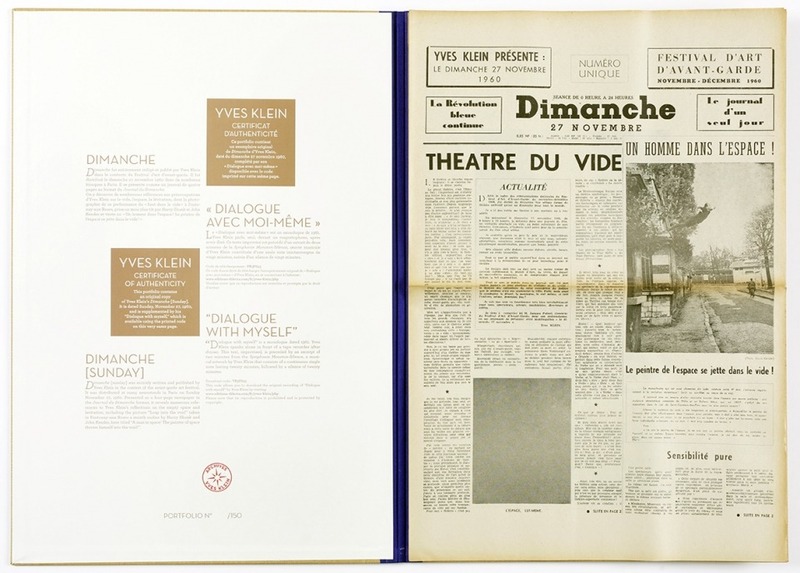 An original copy, held under a clothed portfolio, is completed with the “Dialogue with myself,”* a monologue Yves Klein recorded at home, an evening of 1961. 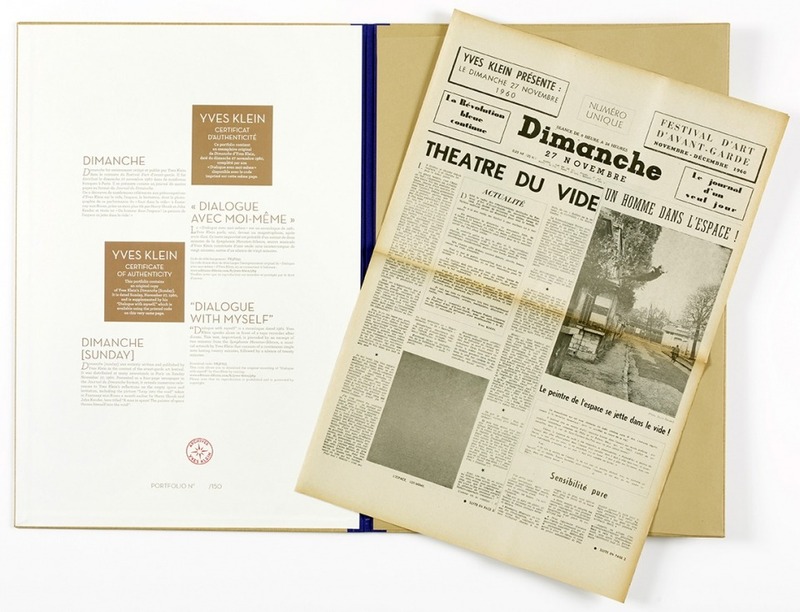 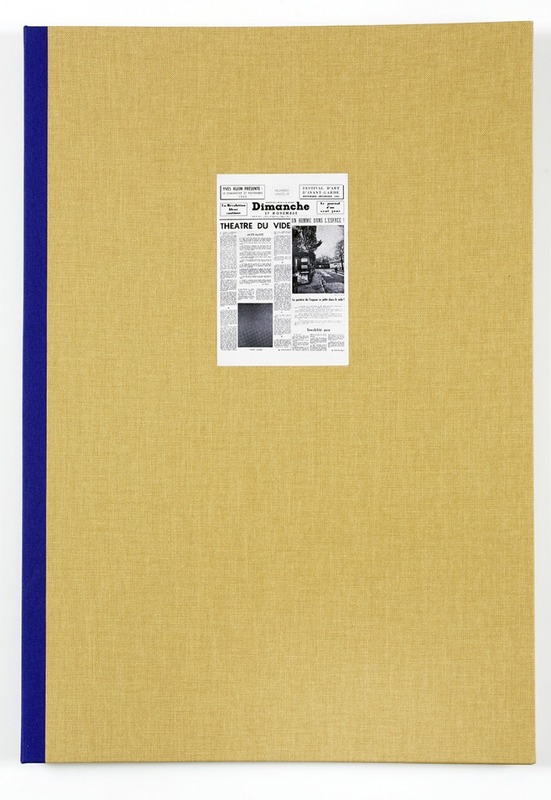 Each portfolio is numbered and certified by Yves Klein Archives. 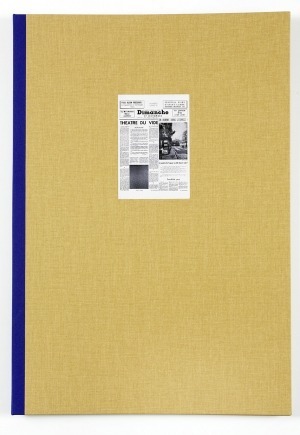 * The recording is to be downloaded with a code.